Extend the life of your robot. Don’t expect a simple cover to provide the same degree of protection that a Robosuit® can afford. Whether you’re battling extremes of temperature, blast media or another form of contamination—Roboworld® can provide tailored protection for robot covers, sleeves, jackets, skirts, aprons and (of course) full protective suits. For over 40-yrs robotic teach pendants have taken a beating. When you consider your cost to repair or replace a broken pendant, the cost of lost production time and the needless aggravation—Pendant Armor® makes sense from the start. It’s “insurance” for your robotic cell, and it’s been long overdue. Make teach pendant repair services a thing of the past. The premier manufacturer of robotic protective equipment. Since 1993 Roboworld® has protected industrial robots in extreme manufacturing environments. We partner with OEMs, integrators and end-users alike to provide unparalleled levels of robot protection. Grit, caustic chemicals, weld slag and sharp metal turnings can render your robot inoperative in short order. Keep these contaminants off your robot and make routine maintenance more efficient and effective. Protect and prolong the life of your industrial automation investment. Using a blend of industry insight, advanced materials knowledge, and aviation manufacturing techniques, Roboworld is proud to introduce the world’s first mass produced, patented, energy- absorbing frame to protect teach pendants. 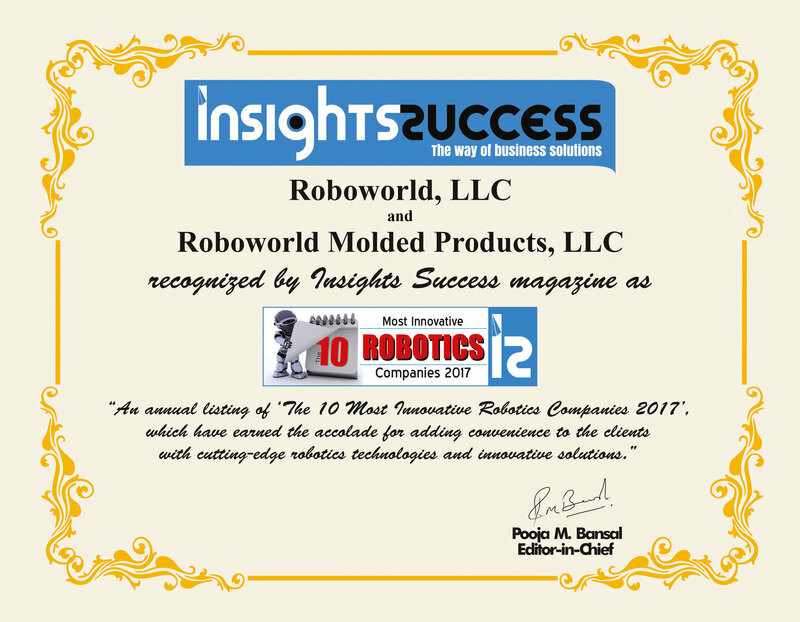 Stay abreast of our most recent product introductions, new robot pattern releases, media appearances/awards and product testimonials. Follow-us on your favorite social media application.